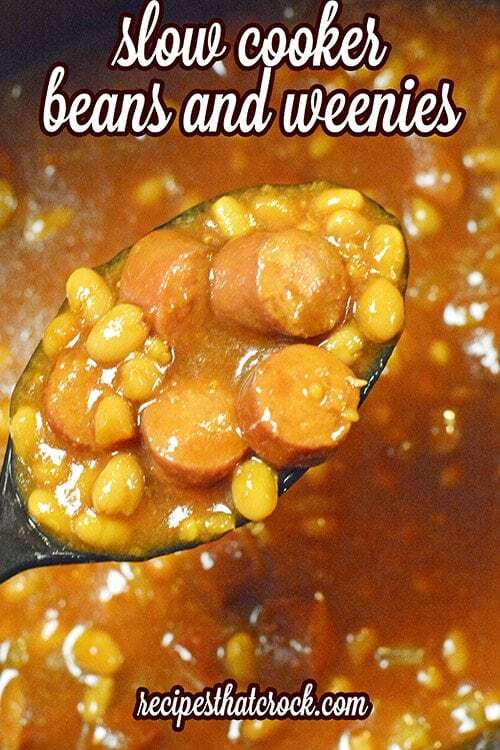 Slow Cooker Beans and Weenies - Recipes That Crock! Are you looking for a great side dish to bring to a potluck or serve up on a weeknight with some delicious grilled chicken? This recipe for Slow Cooker Beans and Weenies is a great recipe to keep on hand. I love baked beans. We make them almost every time we cook out. 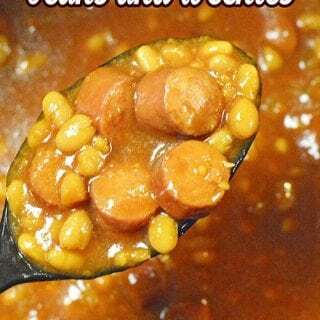 So, when I found this recipe for Slow Cooker Beans and Weenies in Gooseberry Patch’s 303 Simple & Satisfying Recipes I knew we were going to give it a try. And, when Miss Add heard that these baked beans have hot dogs in them, she was totally game. Truth be told, this was the first time I ever used molasses… I usually use brown sugar in my Easy Baked Beans. But this recipe turned out fantastic and now I have molasses in my pantry so I can finally try those Molasses Cookies I have been eyeing ;). Mix all the ingredients into a slow cooker. Cover and cook on low from 3-4 hours. Check out our favorite Slow Cookers, Pressure Cookers, Multi-Cookers and Air Fryersin our Amazon Influencer Shop.